By now, you should know about Halo Top. But if you don’t, today is going to be a good day. 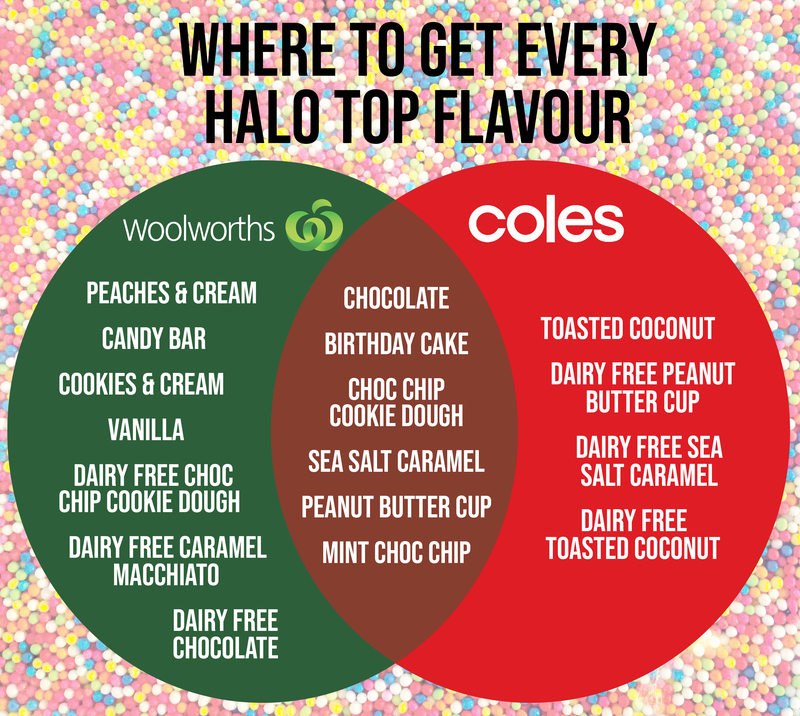 Halo Top is a kickass brand that makes dairy and non-dairy low-calorie ice creams, in a huge range of delicious and fun flavours. Ranging between 260 – 360 calories a pint, you can scoff the entire thing in one sitting if you wanted (you do you boo) and not feel super guilty about it. While it’s only been Down Under for a few years, they’ve recently had a massive surge in availability and introduced a bunch of new flavours. Most notably, the unveiling of a new limited-edition seasonal flavour. Halo Top has a history of selling out flavours quickly (especially the dairy free peanut butter, dammit) so get in quickly before this one goes! It’s only available at Woolies – along with some other dope flavours. For your eating convenience, we’ve made a handy dandy chart to help you figure out which flavours are where – because they’re honestly all over the place. You’re welcome.